Jamboree Bracelets – You may pick up your bracelets at the Registration Tent. Bracelets will be available on Jamboree day for $3 each or a bag of 20 for $60. No credit cards accepted on-site. Adult sizes are also available. All profits go directly to the Boston 1 Fund. Schedule – Please double-check your game schedule when you register your team to confirm your playing times and fields in case there were any last-minute changes. Teams play 3 or 4 games during a session. Field Monitor Positions – Field monitors are strategically posted throughout the site under tents with “Field Monitor” banners. Field monitors have a game and horn schedule as well as a field map. Field monitors also have a walkie-talkie. If there is an injury requiring medical attention, please either go to the closest field monitor station or to the registration tent. The field monitor will radio the nurse, who will immediately report to your site. Respect your Opponents — If you see that your team is dominating a game, please demonstrate the sportsmanship that MBGLL represents by not running up the score. Some ways to keep the play even are to switch to many passes before shooting or play with non-dominant hands at the top of the sticks. Support our Sponsors and Vendors — Our sponsors and vendors have contributed significantly to making MBGLL’s Jamboree a success. Please support them and visit their booths. 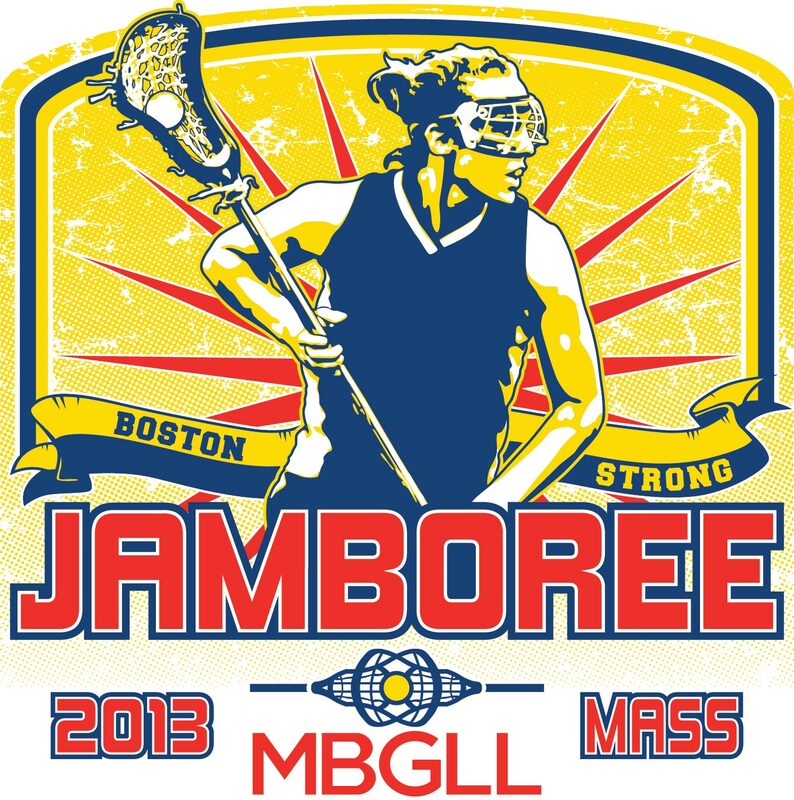 2013 Jamboree Cancellation Policy - Space is limited at MBGLL’s Jamboree. Therefore, MBGLL charges a $50 or a $100 per team cancellation fee to cover administrative costs if a team wishes to withdraw from the Jamboree after having registered. Refunds of the difference are given only if the entire event sells out and a team’s spot is resold. Please know that MBGLL is willing to work with a team to change a time slot to avoid the necessity of a cancellation. No refunds are issued within two weeks prior to the jamboree. Parking – Both sites have plenty of parking. Please look at the site maps prior to arriving to see available parking lots. Please do not park illegally, as the police will ticket and tow violators. Handicap parking is available in the Official’s parking lot. Threatening Weather — MBGLL’s Jamboree will take place unless the weather is REALLY bad or playing will damage the fields. Check this website for the latest schedule information in case of bad weather. It will have up-to-the minute information. Please don't call the site managers...with over 180 teams and almost 4,000 girls playing, they are not able to handle the load. Pets – You may bring dogs to both sites but please carry plastic bags with you to clean up after them. We don’t want our players to step in any surprises with their cleats. All pets must remain on leash at all times while on-site. No running water is available for teams at Byfield. Please bring plenty of liquid for your teams. On-site vendors will sell lacrosse equipment and gifts. On-site concessions will sell breakfast, lunch, and dinner. Of course, snacks are also available. Please support our vendors and visit their booths.